We may be willing to suffer extreme heat and sweaty armpits while pounding the pavement in the parks. But that doesn’t mean we Disney Fans don’t like to style it up with some Awesome Disney Jewelry every now and then! We actually clean up quite nicely after we’ve left the turnstiles and have gone back to the resort for a cooldown. 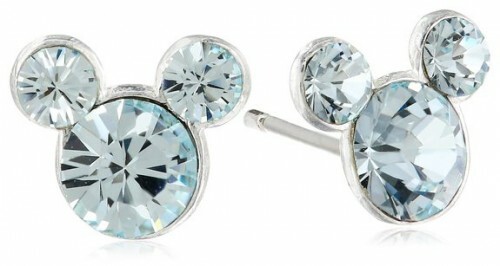 Here are some of our favorite pieces of Disney Bling that we’ve been loving over on Mickey Fix. Why don’t you try some on for size and see which ones are calling your name? And don’t forget your favorite friends and relatives who are just as cuckoo for The Mouse as you are. Show them you know they like a little Bling Bling with their Fab Five and pick up some of these as future gifts! This one makes us so happy because it’s like a Mickey Party All Over Your Arm. Celebrate Mickey’s Birthday while Celebrating Your Own Fabulousness with this fantastic Mickey Mouse 110th Anniversary Charm Bracelet. We love how Mickey Past and Mickey Present are facing each other at the end, kind of like they’re giving each other the Wink Wink Nudge Nudge! This one goes the extra sparkly mile. The Minnie Mouse Rose Gold Headband Necklace kind of covers all of our favorite things: Minnie, Headbands, Rose Gold, and Rebecca Hook! This one’s so bright, it’ll put your eye out! 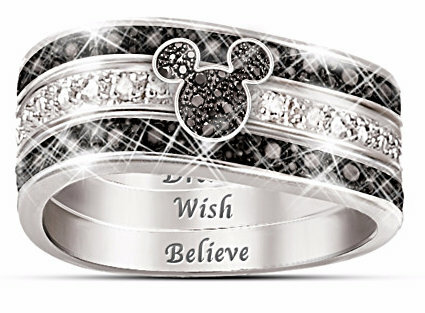 This Hidden Message Mickey Ring makes sure you never forget what Walt taught: Dream, Wish, and Believe. This sterling silver ring is covered in Diamonesk jewels and is certain to stop people in their tracks! 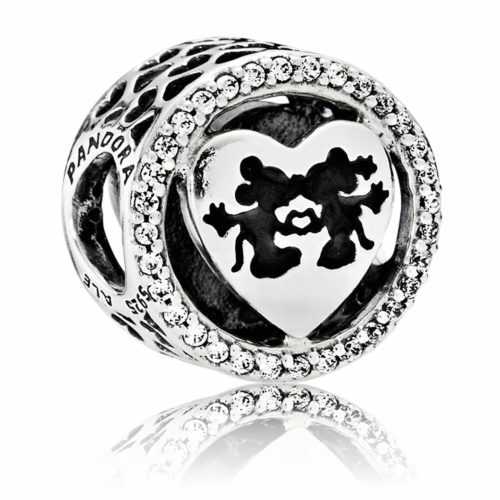 If your mom has a Pandora Bracelet, you should get her this Mickey and Minnie Charm. If she doesn’t have a Pandora Bracelet, you should probably get her one. If you can’t afford the bracelet, then just get her the charm. If you can’t afford the charm, split the cost with your brothers. If you don’t have any brothers, you should borrow some. This is how serious we are about your needing to get your mama this. Now this watch has all of the bling for just a little ka-ching! This happy little Mickey Mouse Charm Bracelet Watch will keep a smile on your face all the livelong day, while alerting the rest of the world with a little jingle-jingle when you’re attempting to sneak up on them. If you’re like the folks at Mickey Fix, one could hear your childlike exuberance bounding down the halls whether you were wearing a charm bracelet or not. “Sneaking up” isn’t our strong suit. These are our faves. We love Alex and Ani Bracelets no matter WHAT they’re celebrating: they have designs for nearly everything. 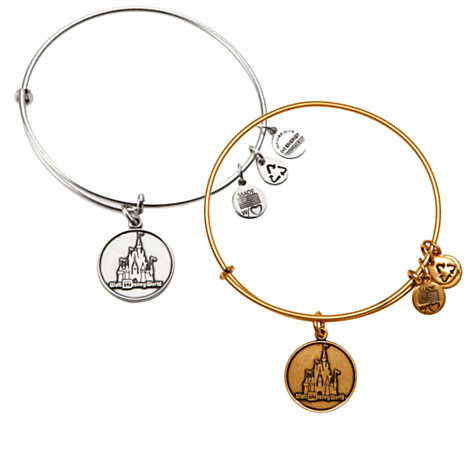 But what we love MOST are the Disney Alex and Anis! We love both the gold and silver versions of these Walt Disney World Bracelets and want to stack them with as many other Disney ones as we can find! They’re available with the Sleeping Beauty Castle, too! Ooh! 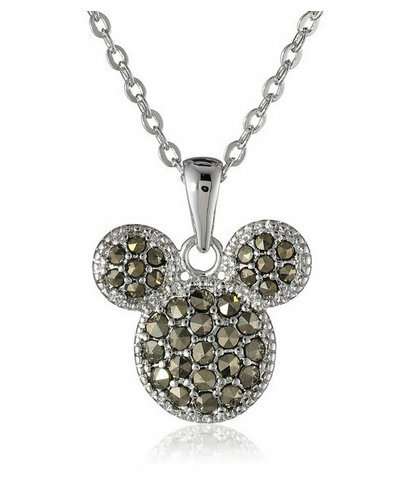 You guys loved loved loved the Mickey Mouse Marcarsite Pendant Necklace! Those little stones on that classic Mickey Icon were enough to lead us to the fainting couch (since that’s where our Doritos were). Add some splash to any ho-hum outfit with these rad rocks! Do you hear your new earrings calling? They’re saying, “Pick me! Pick me!” I’m sterling silver and have your birthstone all over me! Oh, and did I mention I look like Mickey Mouse?” How can you deny such sweet earrings that speak to you so kindly? These Mickey Mouse Birthstone Earrings are just the thing to add to your Disney Obsession Collection! 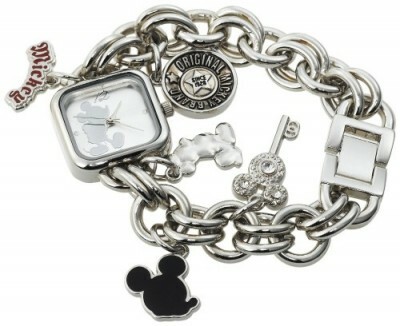 Nothing’s more timeless than a really good Mickey Mouse watch! 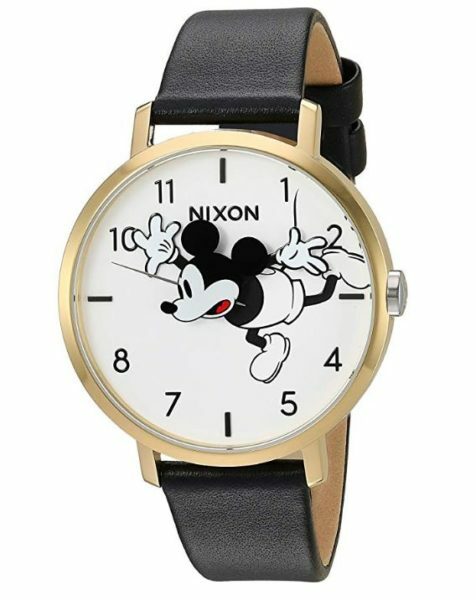 This Mickey Mouse Watch by Nixon shows Mickey tripping over himself to get all of his errands done, which is kind of how we look every day. 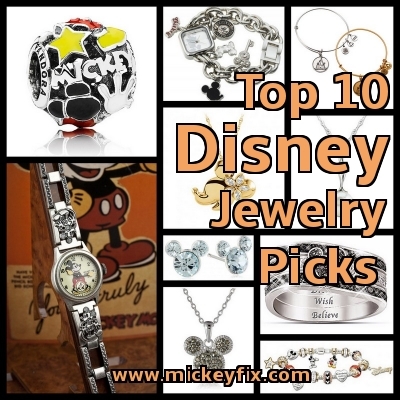 Find More Great Disney Jewelry on MickeyFix.com! There’s no way we could include ALL of our gorgeous Disney jewelry finds here in this article, but we’re searching the treasure troves every day for more of the mouse! Check out our Disney Accessories and Great Disney Finds Under $50 picks over on Mickey Fix for more favorite finds!